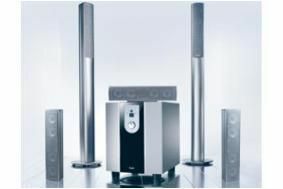 Teufel launches dedicated UK website | What Hi-Fi? The Concept S sells for £399, and there will also be £20 vouchers for use when spending over £200, and special welcome rates on some Teufel bestsellers. The company, which designs and engineers its products at its HQ in Berlin, houses its customer service department alongside its development team, meaning that customer feedback can be relayed back very quickly. CEO Thorsten Reuber says that 'Anyone logging onto the site will experience a very British look and feel, and of course, all the prices are in pounds sterling.